Woodside's head of cognitive science and robotics Russell Potapinski, a Robonaut, and Robonaut Project Manager at NASA Julia Badger. Australia’s largest independent oil and gas company Woodside has partnered with NASA to explore how the space agency’s robotic technology could be used to improve safety, reliability and efficiency in the high-risk and remote environments where it operates. 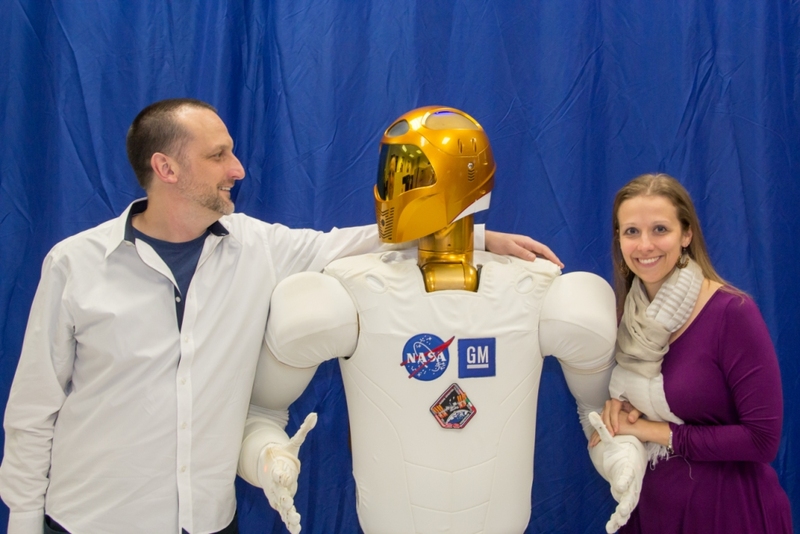 Woodside’s head of cognitive science and robotics Russell Potapinski, a Robonaut, and Robonaut Project Manager at NASA Julia Badger. Under the partnership, NASA will loan Woodside its dexterous humanoid robot (Robonaut) for a 60-month deployment in Perth where the company will research ways in which the robot could perform tasks from more than 300 ideas suggested by the company’s operators, engineers and maintenance workers. Woodside’s Senior Vice President and Chief Technology Officer Shaun Gregory said the partnership will see Woodside contribute its advanced cognitive science technology (which is being developed in its Western Australian operations), whereas NASA will share its expertise in Robonauts that are already being used for variety of tasks in places such as the International Space Station. “This is a unique partnership for NASA and is an exciting opportunity to Accelerate Woodside’s innovative cognitive science program,” Mr Gregory added.